Preface: Daniel Zaharia and Josh Lieto, the pioneers behind Spartan Global’s first direct lending venture, discuss the inner workings of the financial model that brought interest-free credit to artisans in western Nicaragua. The United States Central Intelligence Agency lists Nicaragua, a small Central American country about the size of Ohio, as the western hemisphere’s second most impoverished nation. Despite— or perhaps because of this— nonprofit organization Esperanza en Acción decided to set up shop there. Meaning “Hope through Action” in Spanish, Esperanza was founded over a decade ago with the intention of empowering people around the world through the practice of fair trade. Custom-fitting the principles of the well known Fair Trade Federation to its own mission, the company is committed to ensuring that its clients in the third world are paid a fair price for their work and that they can, with that fair wage, cover basic needs such as food, shelter, healthcare, and education for their families. Many of these clients are artisans, people who weave textiles or make pottery. Esperanza buys directly from these artisans, whose crafts are then placed in fair trade shops internationally, such as Kirabo, a fair trade store in East Lansing. In this way, the company provides their clients with access to international markets in addition to the fair price Esperanza paid up front for the merchandise. Among other things, this way of doing business respects these artisans’ cultures and traditional lifestyles, allowing them to carve their own path out of poverty. It also leaves room for Esperanza’s workers to create long-lasting relationships with the people they help. 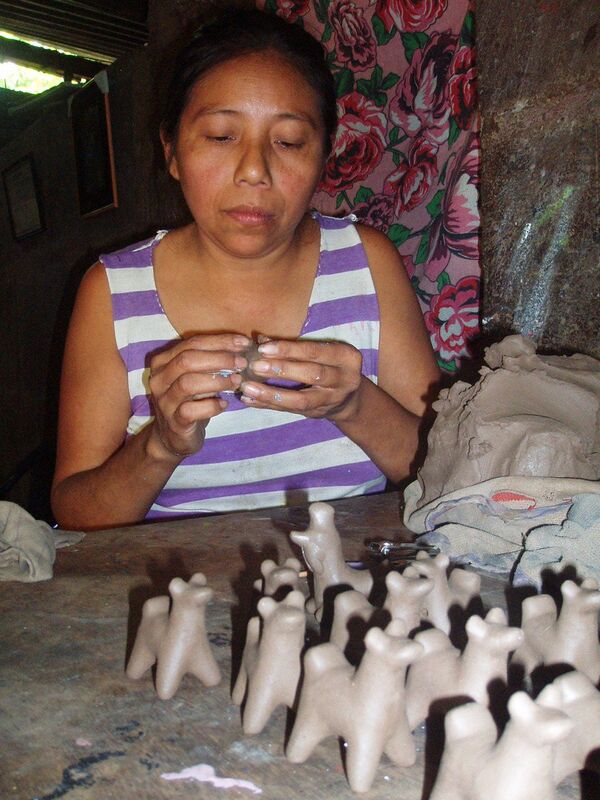 Esperanza artisan hand-sculpts small clay llamas. With the help of Esperanza, these handcrafts are exported to fair trade shops throughout North America. Taken together, all of these practices mesh well with Spartan Global’s mission of alleviating poverty through microfinance—a method in which entrepreneurs in the third world or other people in need are given small loans to grow their businesses, smooth their incomes or otherwise better their lives. Recognizing this, and in search of a fresh organizational partnership, former Spartan Global president and vice-president Dan Zaharia and Josh Lieto contacted Esperanza en Acción to inquire about a potential partnership. Esperanza’s response was more than enthusiastic. Since October 2011, when the two organizations signed the first loan contract, four of Esperanza’s artisans have received microloans. What’s more, the contract stipulated that these loans would form a revolving door of credit—that is, once the loans were paid back, the money would stay in Nicaragua and be lent out over and over again. 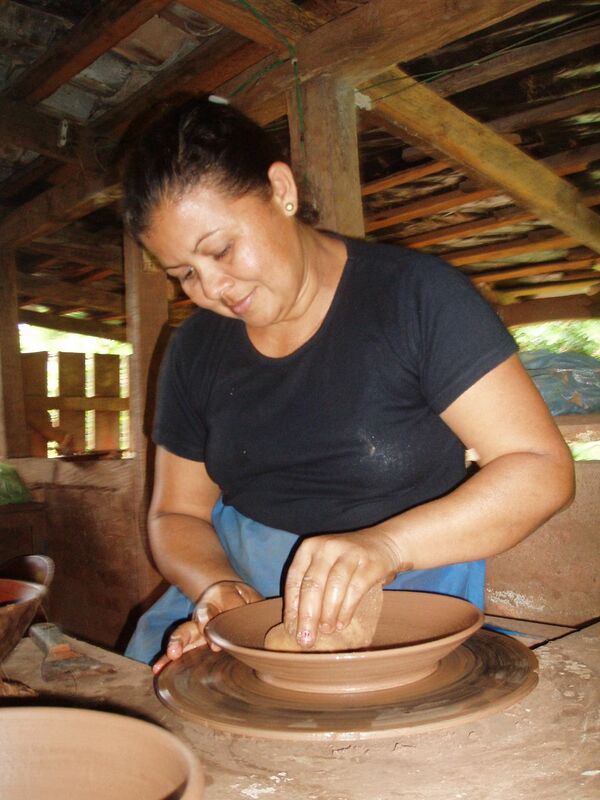 In addition to the capital that they receive from Spartan Global, artisans get solid business consulting and advice in risk management from Esperanza en Acción—in effect, the alliance between Spartan Global and Esperanza provides them with “the best of both worlds.” In turn, the partnership and resulting loan contract, pioneered by Zaharia and Lieto, is the first of its kind in the organization and is now a major component of Spartan Global’s field presence. Plates and bowls are a popular export. Here, a sculptor smoothes the clay on a pottery wheel -the first step of many. In fact, this loaning venture has been so successful that Spartan Global members are now planning a research trip to Nicaragua. 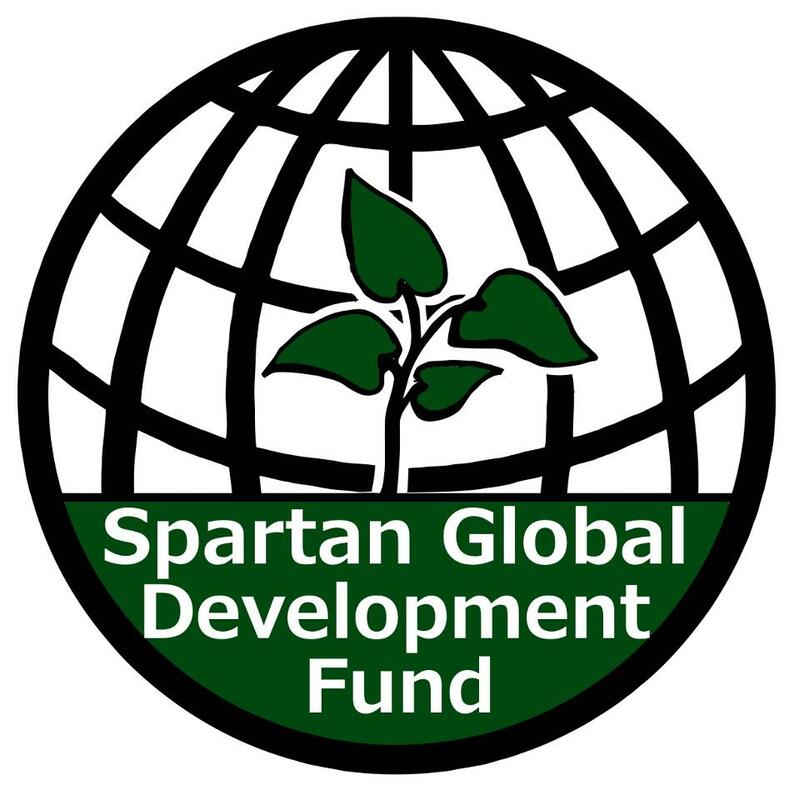 In September 2012, the Associated Students of Michigan State University (ASMSU) offered Spartan Global a grant to defray the expenses of traveling in January 2013. Unfortunately, logistical problems prevented travel during that month, but Spartan Global was happy to have the support of ASMSU and looks forward to the possibility of collaboration with the Association in the future. In turn, Spartan Global’s plans for its future research trip to Nicaragua are broad in scope and ambitious in design. In addition to touring Esperanza en Acción’s in-country facilities, members will meet and interact with artisans who have received microloans from Spartan Global. Participants in the trip will also gain practical research experience, collecting survey data using a question template developed by Spartan Global’s executive board members. Currently under revision, this template is modeled on Grameen Bank’s insightful Progress out of Poverty Index (PPI). Principally, this Index takes into account ten non-financial indicators, such as access to drinking water, type of housing, and the number of children attending school. This index also takes into account factors relative to each community and culture, such as traditional family size. Basing its survey questions on indicators from Grameen’s PPI index, Spartan Global will custom-fit its survey for the country of Nicaragua. In conclusion, the last two years have been both an exciting and informative time for Spartan Global and its members. We have successfully reached out and formed a lasting connection with Esperanza en Acción, extending lines of credit to hardworking entrepreneurs in Central America and expanding our group’s international reach. Looking forward, we hope for the possibility of more fruitful partnerships and the ability to provide people around the world with the opportunity to better their families, their communities, and themselves. Josh Lieto is a recent graduate of Michigan State University. While there, he majored in Spanish and Anthropology and conducted archaeological, linguistic and social research on a number of themes. Josh joined Spartan Global so that he could explore the world of international development and learn how to inspire change on a global scale. A co-founder and contributing author of The Spartan Global, Josh is hoping to attend graduate school for archaeology in the fall of 2014. Are You Doing Your Career Yard Work?